Ravishing red roses, gerberas, and carnations make a dynamic statement. 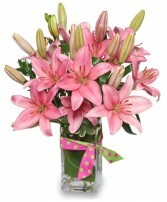 This beautiful, monochromic arrangement will set her heart on fire with its passionate red blooms! 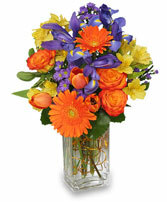 Order this enticing bouquet today!